With a sharp knife (so to not lose kumquat juice), slice in half and remove white seeds and pit. Slice kumquat, with rind and all, lengthwise into long strips. In a large pot, add kumquat pieces with half a cup of water. Cook down until water has evaporated before adding a second half a cup of water. Continue adding half cups of water until kumquat rinds are soft and cooked through. Add sugar. Stirring often, bring to a boil. Simmer for 30 minutes or until jam begins to thicken. This time will vary according to the size of your pot. Remove from heat. Jam will continue to thicken as it cools. Cut rinds into smaller strips if you dislike the taste of pulp in your jams. Because the rind acts as a thickening agent, removing the rind from the recipe is not advised. These little fruits look just like mini oranges, but with a sour kick. 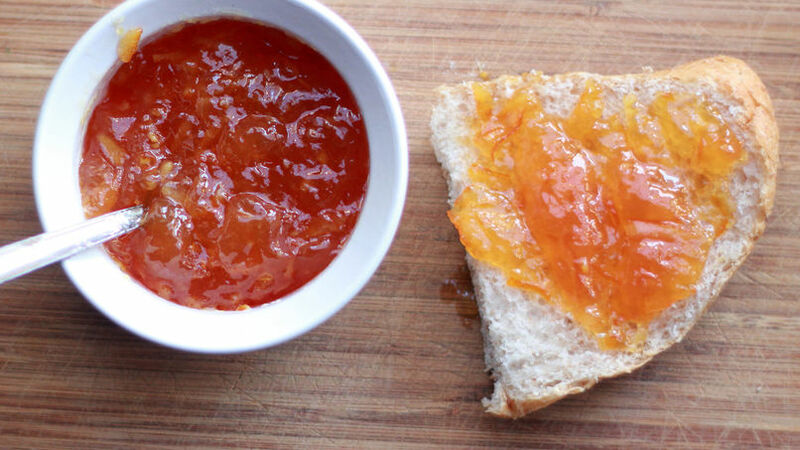 Perfect to pair with a thick slice of wheat bread, homemade kumquat jam is an easy and wholesome addition to any holiday morning menu.